Tile flooring in any home can look beautiful and each Atlanta handyman who works for Spectrum Home Repair is professionally trained and experienced to take care of your tile flooring needs. We come to your home and consult with you about design options for the various types of tile flooring and how it would look in your home. 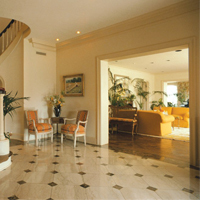 When it comes to tile floor installation, the project at times can seem a little more than we can handle. That’s when it’s time to call in the Calvary. 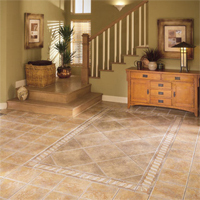 Our professional handyman staff does a great job on your tile flooring every time. Although tile floors can last longer than most home installations, it too can fall into disrepair if not maintained correctly through the years, and Spectrum Home Repair are here to help. Every professional handyman knows exactly how to repair your tile floor to its original beauty or in some cases, remove it from your home to keep your floors looking great. If you’re in need for a tile refinish or are looking to give your existing tile floor a makeover, the professional handymen on staff are here to help. Refinishing tile flooring can be a great asset in keeping any home looking updated and beautiful and Spectrum Home Repair can keep that expectation alive. Each of our handymen is highly qualified, trained and experienced. Our professionals take pride in their skill and are friendly, efficient and excellent craftsmen. To ensure our professionals meet your expectations, they are background checked and insured, to meet your highest standard of quality.